Kathryn Main is a single mom of three boys, former sales manager of Sawubona magazine, and founder of Mainmultimedia and Money Savvy Kids (MSK). She explains why working for herself was not an option but a necessity, her personal financial education journey and why she doesn’t want the next generation to go through what she went through. 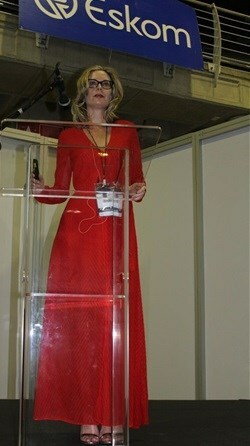 Kathryn Main, founder of Money Savvy Kids and Mainmultimedia. Behind every successful entrepreneur, you’ll find the determination to solve one of the world’s problems. Main is proof of this, with her own business driven by a need to change the fact that SA consumers are drowning in debt, with a scary snowball effect. In fact, she quotes the Economist as reporting just this year that more people have loans than jobs. How are those loans going to be paid off, without an income? That’s one of the reasons Main says we need to curb the ‘instant gratification’, ‘spend-now, pay-later’ mentality in our children from an early age, rather than having it pass from generation to generation. Because there’s no denying that entrepreneurship is strong in South Africa. But a recent study highlighted the effect that poor education has on those aspiring entrepreneurs, who now need to make responsible decisions to grow a business. 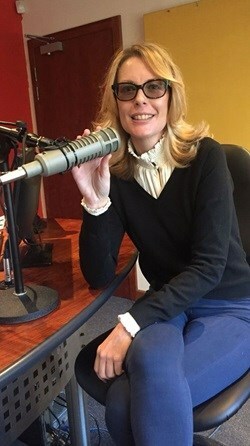 That’s the inspiration behind her ‘Money Savvy Kids’ platform, which partners with corporates like FNB and the Women’s Development Bank (WDB) to offer custom financial literacy content – tailored to some as young as four-years-old – all developed by Main’s full-service advertising agency, Mainmultimedia. Let’s start with an overview of your career highlights so far. As with any career, there have been successes and failures. I like to think of my failures as highlights too though, as that is how we learn and grow. In October, I’ll be a finalist in the Margaret Hirsch business woman of the year competition and will share the stage with some phenomenal female entrepreneurs, so that’s another highlight. Winning awards and garnering recognition for the work you do helps keep me moving forward in a positive way, so I enter as many competitions as I can. The valuable feedback helps mould and change the business where needed. Amongst my highlights: I get to call myself an author as I wrote my first book, Raising Money Savvy Kids in 2016. I never thought that would happen as I only have a grade 9 education and writing was never a strength of mine. In 2015, I was also chosen as one of the Mondato Summit Africa finalists, which rocketed my career and business in a way I did not expect, and last year, I was chosen to be part of the first Lioness of Africa acceleration program. Also, a big corporate wanted to buy my business, which didn’t end well. I learned many hard lessons but also realised I have a business someone would want to buy, so that makes me proud. As a female entrepreneur, I’m most proud of the fact that I’m still in business after almost 10 years. Working for yourself comes with many challenges and it’s hard out there, but I have built up a great portfolio of happy clients who refer me and keep working with me year after year. That’s fantastic. Based on your experiences, share a few of the aspects of SA business that need a shake-up. Financial literacy is definitely one of those. I’m also a firm believer in having a diverse group of people working in one office. That way, the creative juices are always flowing. So many different points of view and perspective are key to successful marketing campaigns. I wish more businesses would take on interns from diverse backgrounds. You’re described as having “an instinctual understanding of what makes a winning campaign” – can you share the secret with us? I listen to my clients’ needs and objectives, and then craft campaigns to suit their objectives and target market. We narrow down the target markets and make sure we only serve ads to the correct audiences. Being in the media and sales industry for over 15 years and working in all areas of media has given me a bird’s eye view of what works on what platform in each market. Experience speaks volumes. As with anything in life, you learn from your failures and mistakes. I have made many mistakes in the past – I learned the hard lessons and took the hard knocks. Explain the context of what led you to create Main Multimedia and Money Savvy Kids respectively. As a single mom to three boys, being a full-time employee never worked for me. My kids needed me when they were younger, and that meant many hours off work and leaving early. Employers never liked that, so working for myself was not an option it was a necessity. I’ve always been good at identifying opportunities and gaps in the market. My marketing know-how has given me an edge over other entrepreneurs, as I understand how to build and launch a brand into the marketplace. Advertising was an industry I loved the minute I started in it. I loved the fast-paced life, the hectic deadlines and long, boozy lunches. I knew this was the industry I wanted to be in from day one. Money Savvy Kids is my passion project. I’m so passionate about teaching good financial habits. I don’t want the next generation to go through what I went through. Blacklisted for eight years, with no access to finance and credit and a poor credit score for a decade could have all been avoided. Youth financial literacy is crucial for their success in this ever-changing world. So powerful. Share a few tips for young female entrepreneurs looking to follow in your footsteps. Be brave, be bold and not let people push you around. Don’t wait for the right client, enough money or the big retainers. Just start. Once you start, things will start to flow. Do what you say you are going to do. If you promise to deliver by a certain date, deliver on time and on budget. Relationships are key to business success. Build solid relationships with your clients. Don’t collect money from clients. Get an external bookkeeper. Asking for money ruins relationships. Plan, plan plan and execute. Make sure you make time for exercise, rest and time off. You can’t afford to burn out. Last piece of advice – never give up. On the days where everything is going wrong and you feel like nothing is going right, take the day off and regroup. Look at what actions bought you to this point, and what actions you can take to rectify the issues. Solid advice. Follow Main’s Money Savvy Kids on Facebook, Instagram and Twitter for the latest updates.